Two cattle trails converged in Lockhart, one heading north from Lockhart and another through the northwest corner of the county. 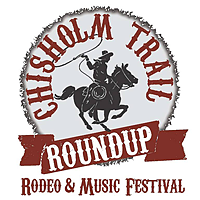 The second weekend in June, Lockhart celebrates its place on the Chisholm Trail with our annual Roundup. Many months of preparation are spent planning this celebration from the enjoyment of our community and visitors, including our BBQ Capital of Texas Championship Cook-off, cowboy breakfast, full event rodeo followed by live music, queen's coronation, awesome auction, carnival, grand parade, kids' zone with a petting zoo, South Texas Gun Fighter show and demonstrations by Texas Parks and Wildlife. It attracts 10,000 plus people to Lockhart and Caldwell County each year. It is the largest tourism event for the City of Lockhart and is put on yearly by the Lockhart Chamber of Commerce & Visitors Center.